Finding the perfect costume, walking through haunted houses, marching in Halloween parades and participating in other Halloween events in NYC is fun and all, but nothing beats going out into the night in search of candy. 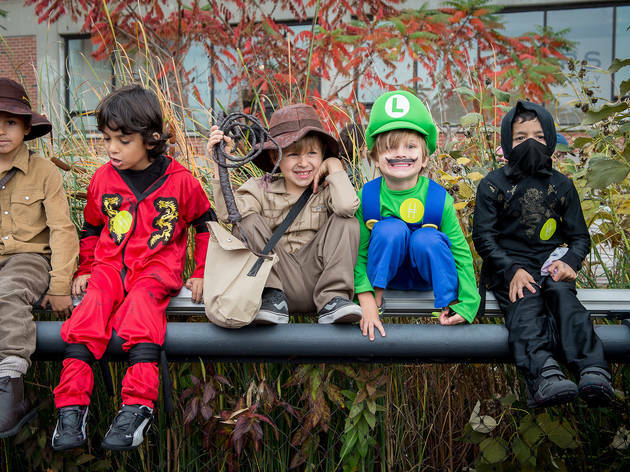 These trick or treating spots for kids will not disappoint! Not only will the little goblins go home with bags full of delicious treats, but many of the events on our list offer games, activities and live performances to make the whole experience one that the family will remember. 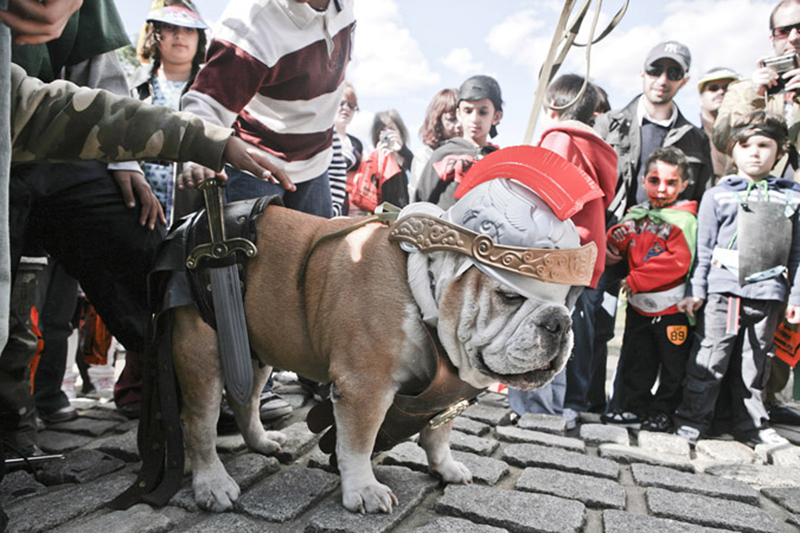 These trick or treating venues include zoos, botanical gardens, historic neighborhoods and parks all around the city. After you and the kiddos collect your treats at these awesome events, map out your route through our suggested neighborhoods to gather even more sweets. 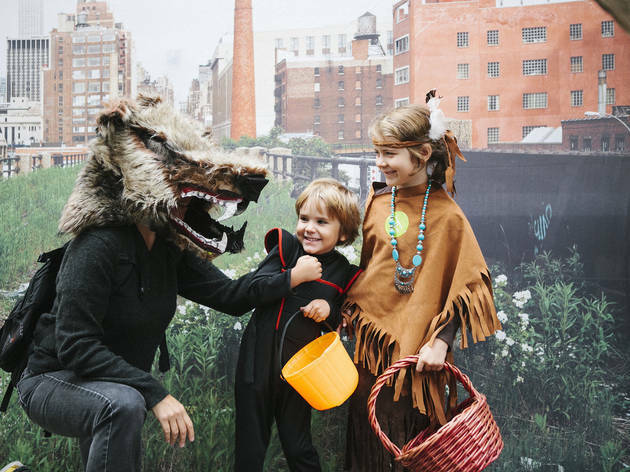 Spirits are lurking at this elevated park's Halloween festivities, where kids are encouraged to dress up in costume and learn about the history of hauntings along the Hudson. Trick-or-treaters can decorate pumpkins, journey through a spooky train tunnel and join characters like the Mad Cookie Man and the West Side Cowboy in a trick-or-treat quest where they'll answer riddles in exchange for yummy goodies. All ages. 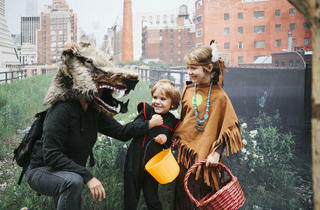 The Upper West Side and the Upper East Side are perfect for door-to-door knocking and scavenging for candy. Chelsea is also great for families gathering treats. The youth visual- and performing arts organization puts a ghoulish spin on its regular family festival, adding a haunted house ($3) to the usual bouncy castle ($4), crafts, games and snacks ($2). 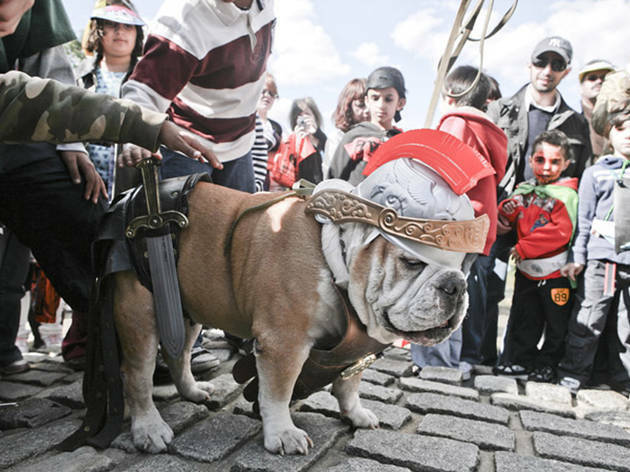 Gear up for giveaways, a costume contest and live bands, plus special appearances by Big Apple Circus, Tuffy Tiger (performing songs from his albums) and a number of costumed Star Wars characters. 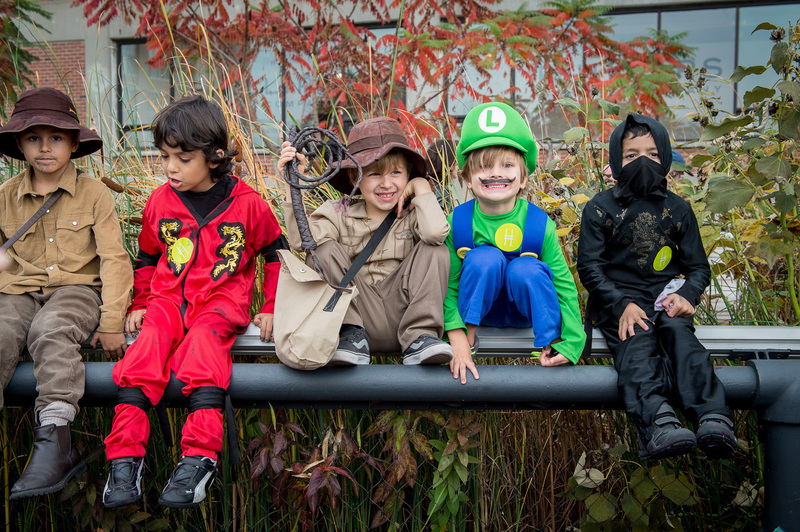 Arrive at the 1st Street Recreation Center early—the first 200 kids will nab goody bags stocked with spooky treats. Ages 4 to 10. The brownstone homes in Brooklyn Heights, Park Slope and Cobble Hill are begging for little ones to knock on their door with bags waiting to be filled with candy. 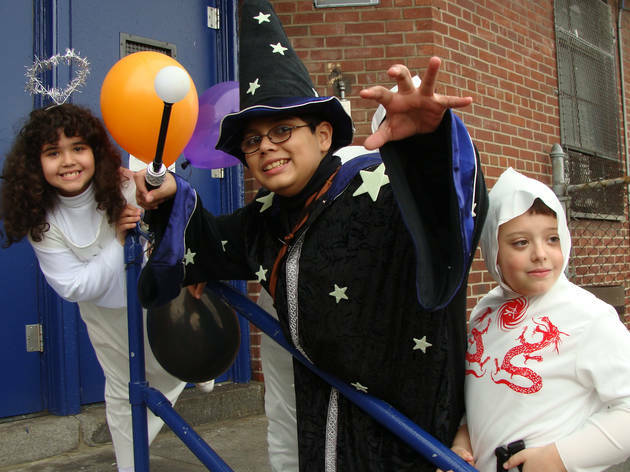 Get in the spooky spirit at this annual festival, where kids can make their own Halloween costumes with a helping hand from the Socrates artists, get their faces painted and join in on an art workshop with the Free Style Arts Association. Families can listen to live music and chow down on food from local restaurants while they play the day away. As an added bonus, pups are even welcome—enter your retrievers, terriers and more in the Juried Canine Contest. All ages. At this seasonal event, families can listen to music, go on nature walks through the garden, meet furry friends in the petting zoo, ride ponies, and get in on composting demos. Round up the gang and enjoy live musical performances and crafts, then take a break to nosh on treats (including beer for Mom and Dad). 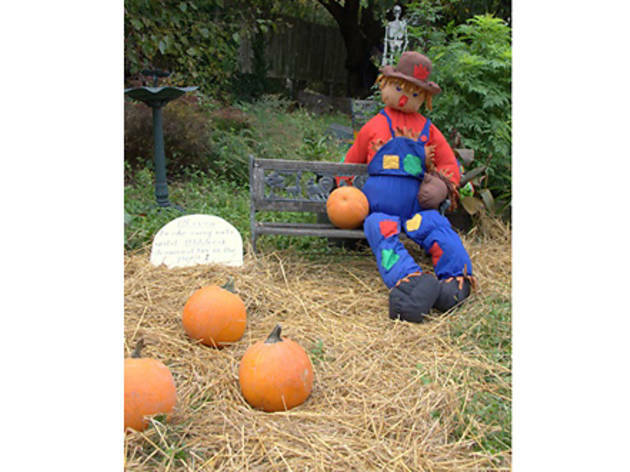 They can also, of course, peruse the pumpkin patch for the perfect Halloween crop. All ages. 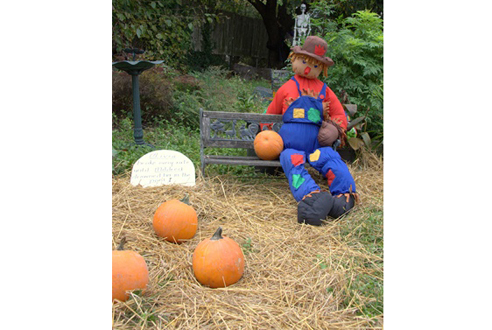 Head to the historic neighborhood of Sunnyside Gardens for residents that go all in on candy and festive lawn decor. 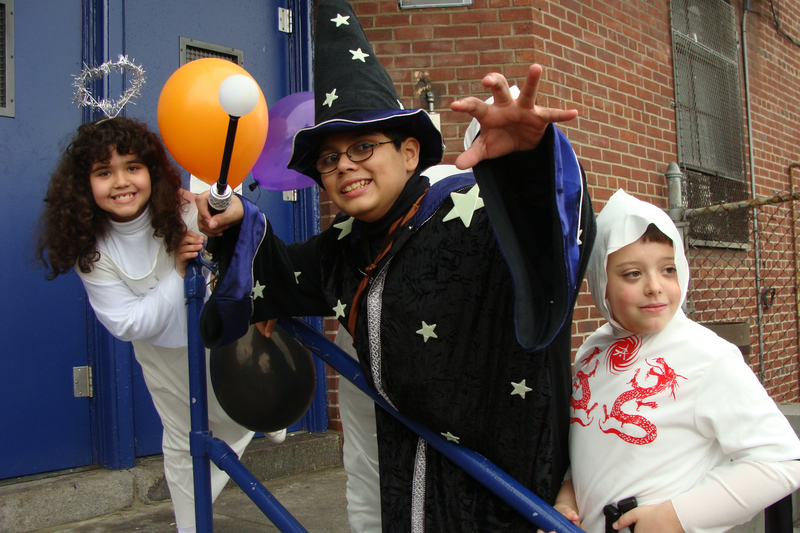 Families should also add Middle Village and Jackson Heights to their must-visit list. Bring those empty candy bags to Whitestone (word on the street is 11th Ave between 154th and 162nd Sts is the place to be) or Bay Terrace and head back home with a hefty bundle of yummies. Riverdale and Fieldston neighborhoods feature big and historic homes that tiny goblins can knock on for their tricks and treats. Families would do well heading to North Shore where residents on Morrison Ave go all out on decorations, costuming and candy-giving. South Shore doesn’t fall far behind as Chesterton Ave is also a hot spot for trick or treating.